These Wall-Mount Chalkboards Are Stocked for Fast Shipping. In-Stock Units Usually Sells Out Fast. 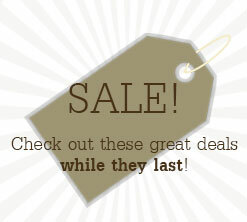 Buy More Wall-Mount Chalkboards and Get More Savings! Hardwood frame with semi-gloss white finish profile for use in a variety of settings. Unit is sold with a removable accessory tray, eraser and stick chalk provided. 35" x 24" writing area gives users ample space to create custom messages. Attached wall hooks and screws included for mounting the frame horizontally on any flat surfaces. Textured blackboard surface for writing messages with stick chalk, wet-erase or liquid chalk markers. These wall-mount chalkboards are an ideal way to showcase written messages and to grab customers attention. Each unit is engineered from hardwood with a white finish for an exclusive look that is perfect for use in any indoor settings. 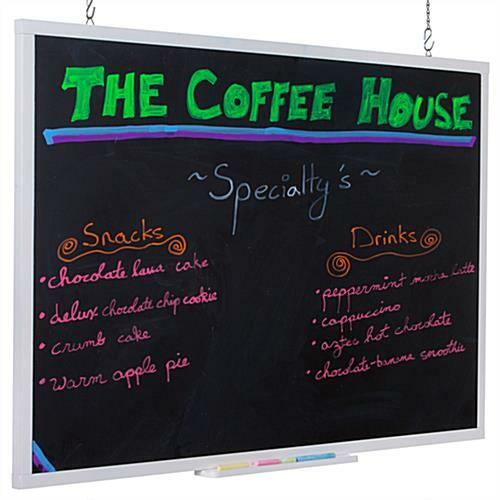 These write-on boards, wall-mount chalkboards feature a textured 35" x 24" blackboard. The large writing surface gives users ample of space to create their messages. These write-on wall-mount chalkboards, also known as classroom blackboards allow users to create and change messages frequently. Users can create their own message or advertisement using regular stick chalk, wet-erase or liquid chalk markers. These wall-mount chalkboards that have a white finish border can be used in a number of ways. Businesses such as restaurants, cafes, bars and bakeries can use these chalk boards to show menus or daily specials. 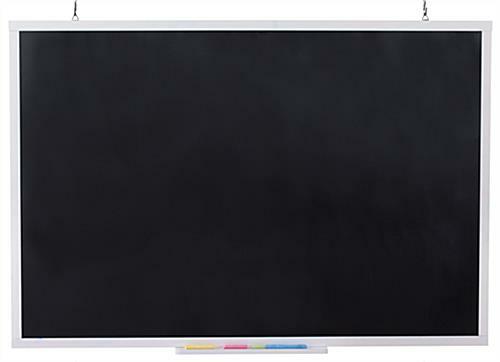 Indoor wall-mount chalkboards can also be displayed on an easel at storefronts to show sale or clearance events. Besides using the chalk boards in business settings, these write-on blackboards also make a great education tool in classrooms, playrooms or daycare centers. These wall-mount chalkboards that feature a large black board surface provide users with plenty of writing space. Messages can be easily wiped off by using a damp or wet cloth. We recommend the use of stick chalk for these wall-mount chalkboards that hang, as these wipe away easiest. The wet-erase or liquid chalk markers may be harder to clean. Therefore, the purchase of these chalk boards will include with a magic eraser that helps to get the message off the board. Wet-erase markers and liquid chalk are sold separately (see right hand corner) for more options. These classroom blackboards are perfect for locations needing to frequently change their promotions or advertisements. The unit will come with a removable accessory tray, an eraser and stick chalks. There will be mounting hooks and screws included at the back for easy mounting. When mounted to the wall the write-on chalk boards are sure to get customers attention. The fact that these classroom blackboards are made from hardwood means they are meant for indoor use only. These write-on chalk boards are also available in a red finish along with many other styles as well. Purchase these classroom blackboards from this website for more savings! 37.0" x 25.3" x 0.75"